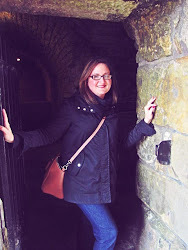 A Bronx Girl's Tale...in Malta! 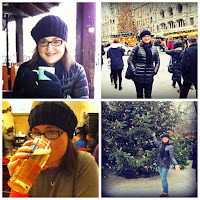 : MUNICH CHRISTMAS MARKETS! My friend Lauren, who teaches in Germany, told me that “the Christmas markets are one of my favorite things about Germany, I love the way the Germans do Christmas". This comment helped get me excited for my weekend in Munich because I must be honest, Germany was not originally on my list of places to visit while in Malta. The idea of visiting the markets came about on a bus ride home from the Notte Bianca Festival in Valletta back in September when Melissa and I realized that we would really need to do things to keep us in the holiday spirit given that we would not be with our family or friends. 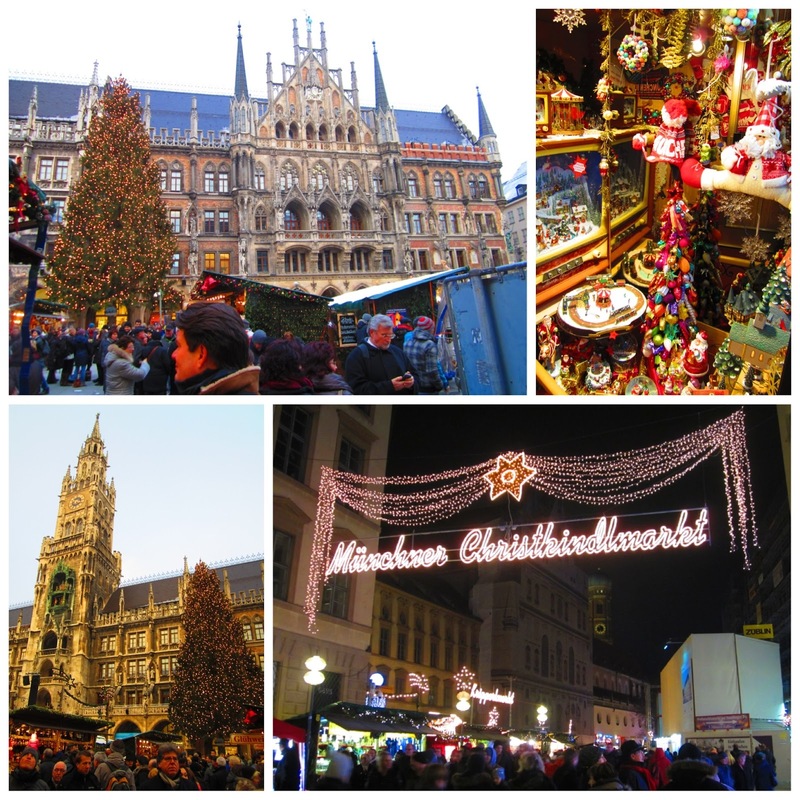 We thought what better way to celebrate Christmas than to head to one of Germany's markets. And so, thanks to good old modern technology and smart phones, Melissa was able to begin researching on her phone, while on the bus. This not only got us excited about the holidays but also provided a much needed buffer to Paceville's finest traveling on the bus with us. 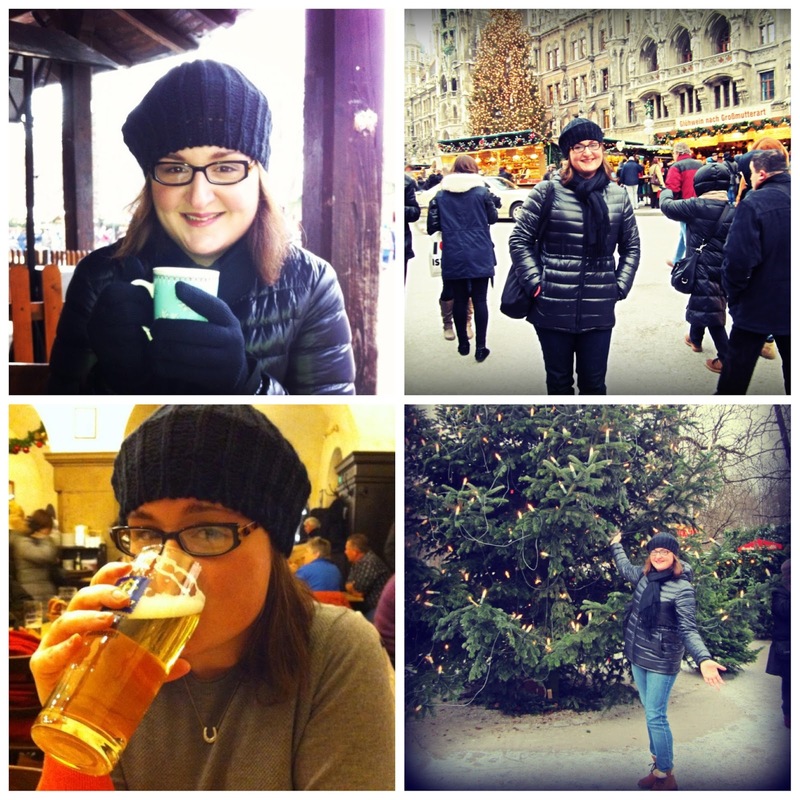 Deciding on Munich was fairly easy and so we began searching for flights and a hotel. I will say I am IN LOVE with LUFTHANSA and Hotels.com. Lufthansa is an amazing airline unlike any other I have flown and Hotels.com has come through for us with amazing hotels and rates. Flights were great, transport to our hotel wonderful and efficient and so began our weekend. We were welcomed to Munich with snow which I felt was just so fitting since we had not seen snow in a really long time and it just made for a great kick off to the weekend. I have to say, immediately I understood what Lauren was talking about. The Christmas Markets, simply put, are like walking around a live Hallmark movie or Winter Wonderland. 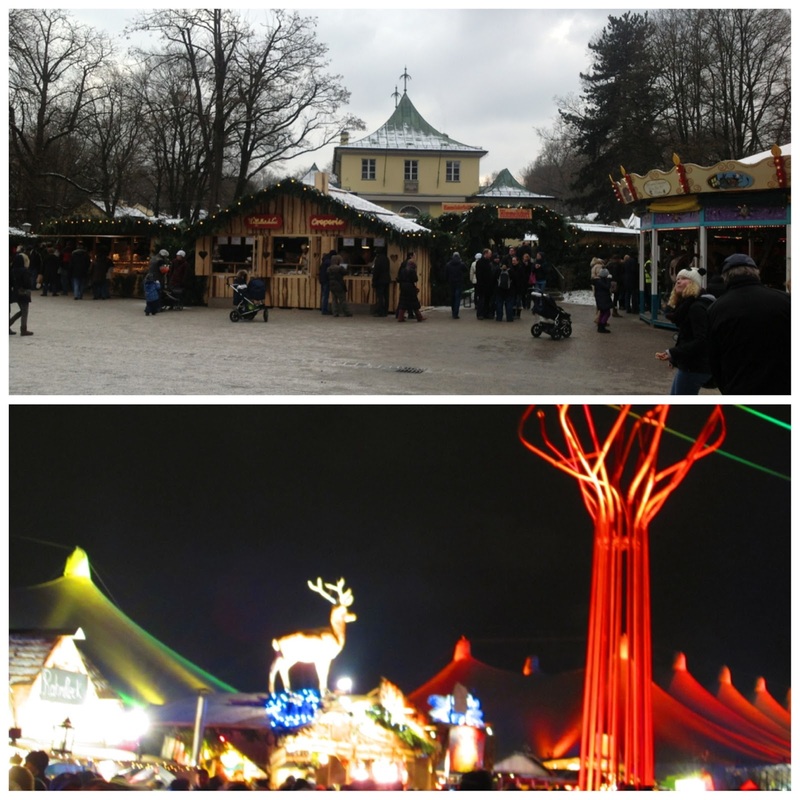 We were able to visit the Marienplatz Market, the Chinesischer Turm (Chinese Tower) Market and the Tollwood Winter Festival. All were very different, very cool and an experience all their own. The one constant at all three was the Glühwein. This is a mulled, hot red wine that is a necessity to survive the cold all the while being absolutely delicious. A win/win if you ask me. 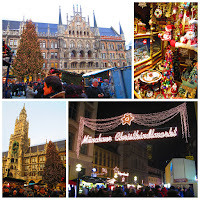 We saw many a booth with handmade ornaments, mangers, foods, and desserts; enjoyed many a mug of Glühwein, a great meal and beer at a local Bierhall and Starbucks coffee! All major scores for us. I have to say, although not a fan of Starbucks coffee (more of a latte/hot chocolate girl there), I love their Christmas blend, a must try! To get you in the spirit of Christmas at the Markets, there were Carolers, Carousels, Horse and Carriages and your fill of fake Santas. Munich, as a whole, is a beautiful city, with an efficient transportation system that offered all one would want from visiting such a place-beauty, history, great shopping and convenience, all with the added bonus of the magic of Christmas. What more could a girl ask for:-).